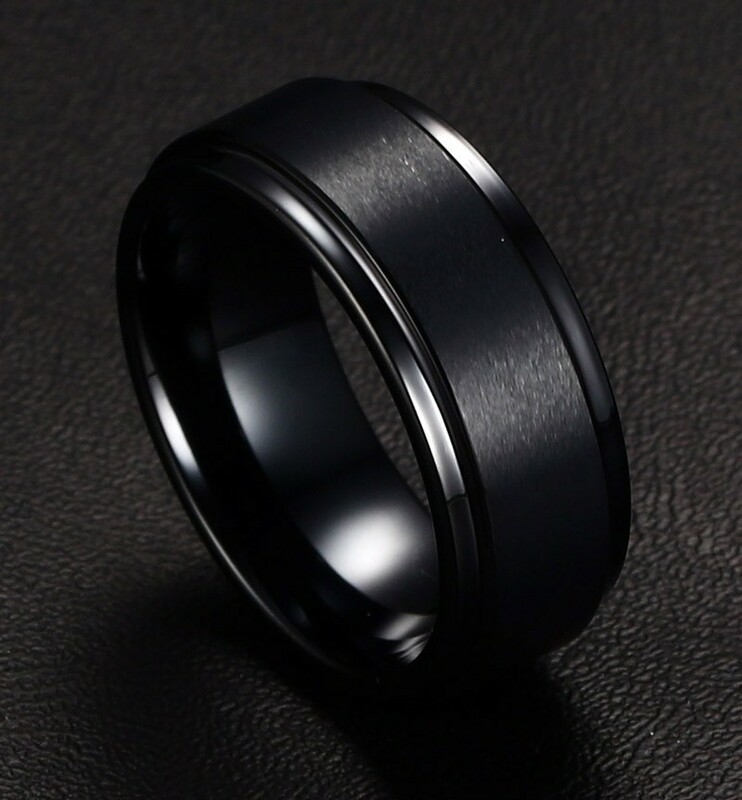 A classy beautiful and classical pure Tungsten ring for trendy and fashionable Men. 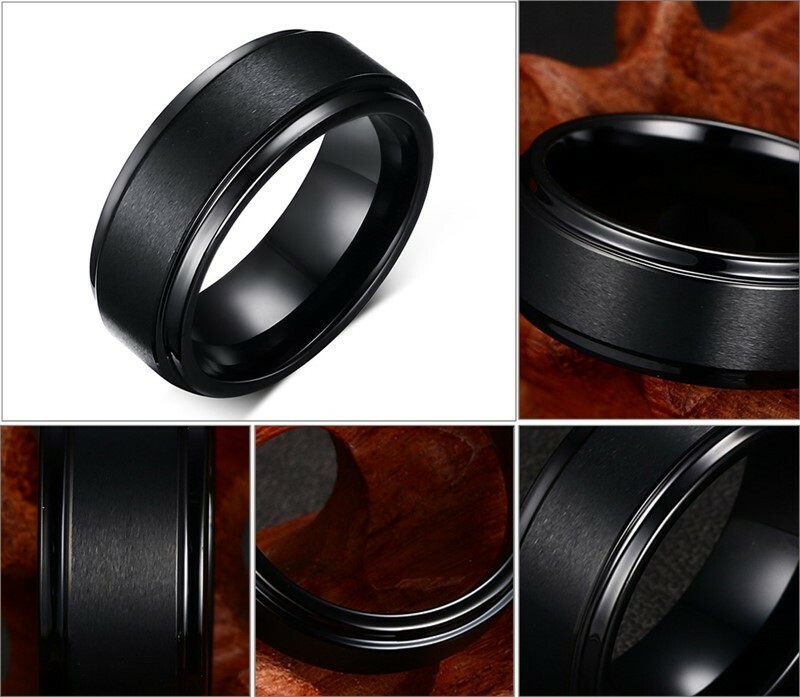 The beautiful fashion jewelry is made of a high-quality pure tungsten carbide base metal and decorated with center brushed and colorful Matte finish on top. The fashionable and classy engagement ring comes in wide 8MM surface width. 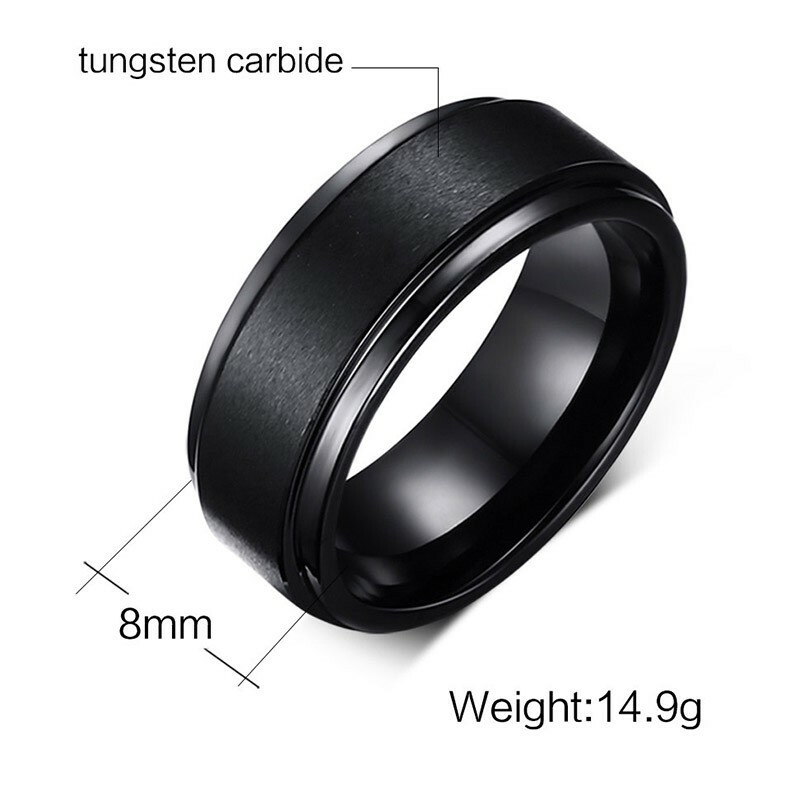 It is now available in a shiny center brushed black color for 7-12 male finger sizes. Occasion: The Perfect Gifts For Valentines Day, Birthday, Father's Day,Christmas,Wedding,Engagement,Promise, Anniversary Day. Suitable for any occasion, Easy to collocation. Perfect for Lover's promise rings,wedding rings,wonderful anniversary presents!